Large black & white photograph, approximately 30 x 25cm. 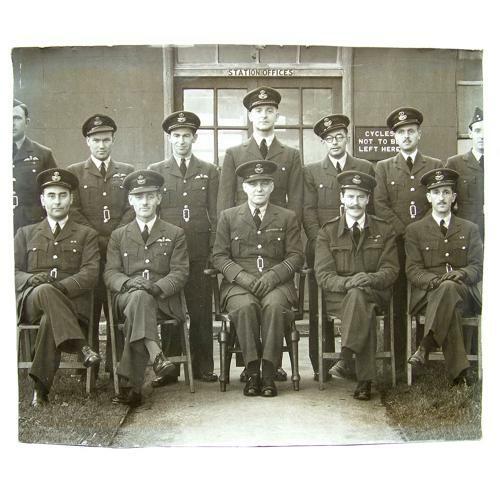 Shows a number of RAF officers outside a station building. They are wearing service dress and battledress uniforms with a mixture of peaked and field service caps. Many have pilot wings. Also note the Air Ministry folding and captains chairs being used. A great period photograph. Some minor creasing but in good condition. Stock code P22873-101.